Students who are beginning studies in technology need a strong foundation in the basics before moving on to more advanced technology courses and certification programs. The Microsoft Technology Associate (MTA) is a new and innovative certification track designed to provide a pathway for future success in technology courses and careers. The MTA program curriculum helps instructors teach and validate fundamental technology knowledge and provides students with a foundation for their careers as well as the confidence they need to succeed in advanced studies. Through the use of MOAC MTA titles you can help ensure your students future success in and out of the classroom. 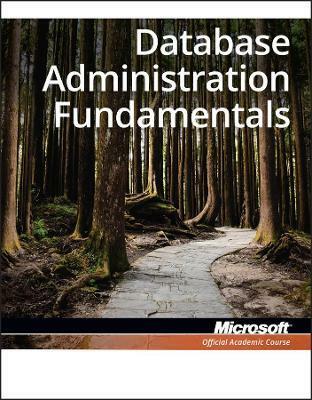 Database Administration Fundamentals covers introductory knowledge and skills including: relational databases; core database concepts; relational database concepts; security requirements for databases and the data stored in them; database objects -- such as tables and views; graphical tools and T-SQL scripts; database queries; and stored procedures.